Android is the new buzzword geeks are chanting these days. We have seen gadgets ranging from TVs, mobiles, refrigerators, etc based on Android. So i wanted to find and install Google Android on my laptop. Here is what i have found. First of all let me tell you , google is developing two Operating Systems at the same time one being Android while other is Google Chrome OS. We still don’t know why. Microsoft has already said once that it is the biggest mistake that google is doing, But when we saw these two OS except for being based on Linux kernel they were completely different. So I wanted to install Google Android for it. We came across two ways to use and install Linux. One was using a LiveAndroid while the other was Android x86 Project. LiveAndroid is a live CD for Android running on x86 platforms. When you use this live cd you are using Android without making any change or installing anything on your system. The LiveAndroid is hosted on the Google Code site. Follow the procedure to install LiveAndroid. You can get LiveAndroid here. You can also download LiveAndroid using any torrent client here. The files are split into two. You need to join them using HJSplit. Now burn these files to a CD that can be used as the Live CD to run the OS. You can also run the image from a USB, for that use W32DiskImager to copy the image to a USB drive. On running the image you would see the Android window. We suggest you to do this using a virtualizaton software. 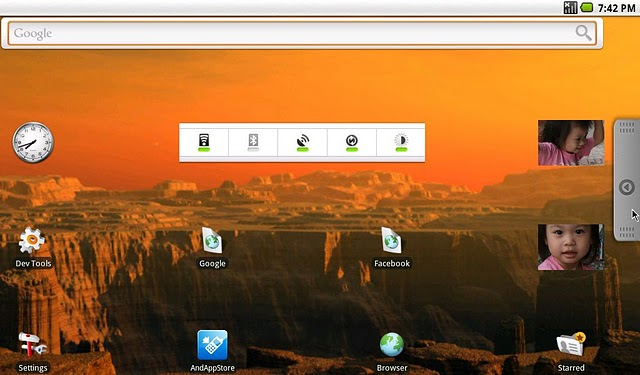 With virtualization software like VMware , VirtualBox or Microsoft Virtual PC, you can run or install LiveAndroid inside windows. Some programmers alternatively made Android-x86 Project. These programmers have built a full android with full applications support. They have made great easy to use installations, and simplified tutorials for the non-programmers to understand easily. 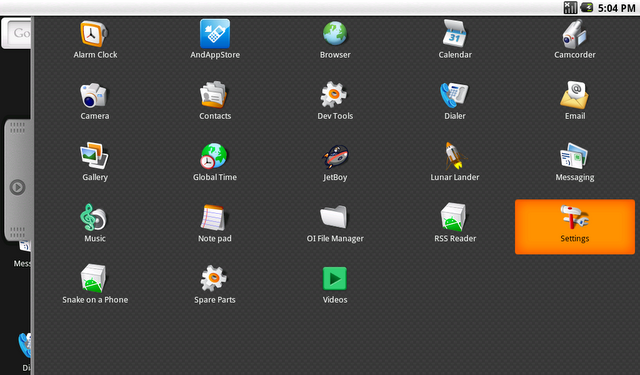 They have wonderful interface, with a huge back-up of android applications. We just loved the interface and look, as we never expected this as such an early stage. 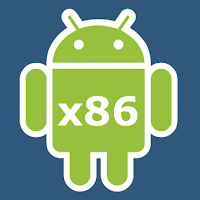 The Android x86 can be downloaded here. Here is great tutorial at the project site on how to install the OS. Android is surely a promising platform for tablet PCs and netbook computers. We find it super touch screen compatible as it is made for laptops and netbooks and have a completely different interface than a desktop computer. Please do comment on the post, and do tell us how was your experience with installing Android. nice post – thanks a lot! i downloaded android 4.0 asus laptop x86 extracted win win rar got a bunch of files, disc image, system info, kernal, png what do i do? i want to run as dual boot os but have never attempted anything close to this can someone plz help me? extracted asus laptop 4.0 x86 and have a bunch of different files and a folder plz help! no clue what to do next, would like to run as a dual boot os but have never tried any of this, any help is extremely appreciated! Currently dual booting with Win7 and Xubuntu, love checking out new OS's, so gonna check out the Android 86 system.